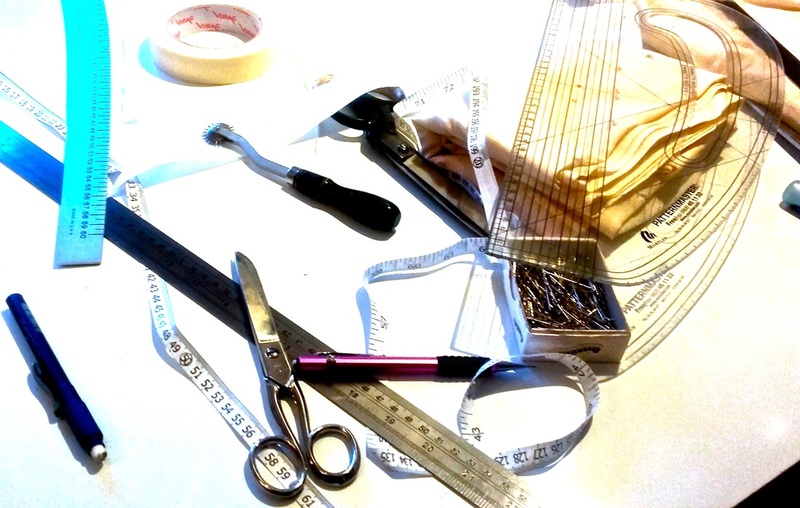 All projects are individually made to measure and include cutting the pattern and the making of a test garment in calico or muslin (a toile) to ensure a perfect fit. Your happiness with the result is paramount, and I aim to provide a friendly and professional service. First comes the design. You may have something specific in mind, or we can work together to produce a style that suits your personality and chosen theme. I am happy to take on any type of design project. 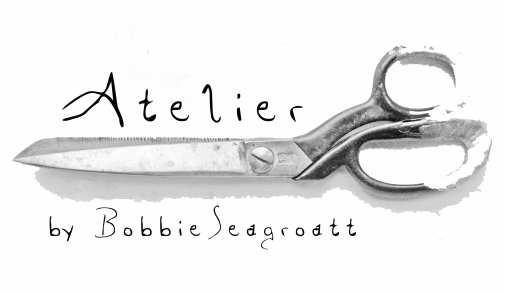 Based on the first consultation, I will produce a selection of design drawings and fabric suggestions with swatches. The design is then refined in consultation with you, resulting in a finished design drawing. I can source fabric for you, from a range of wholesale suppliers, and pass these great prices directly to you. Silks, fine cottons, or delicate wools for winter weddings. Based on your measurements I will cut the first pattern, and make the toile in calico or muslin depending on the proposed fabric. 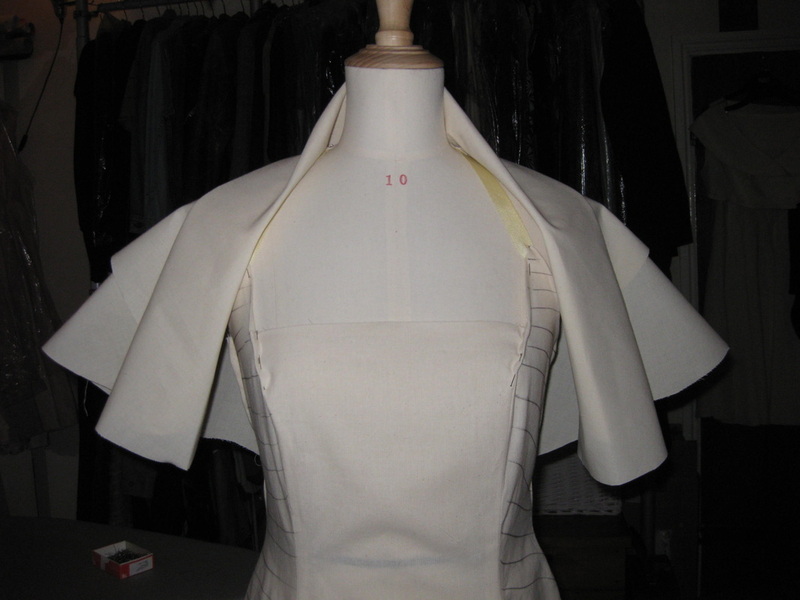 Then comes the first fitting, toile adjustments, resulting pattern alterations, and a second toile fitting. 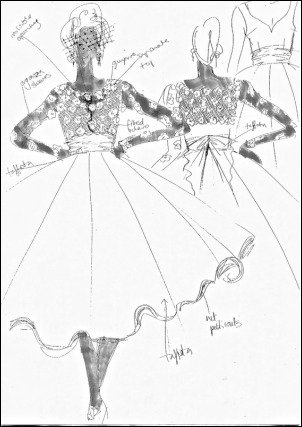 From here, we are on to the real fabric, and the gradual emergence of the dress itself. About three to four fittings will be needed during the making process. 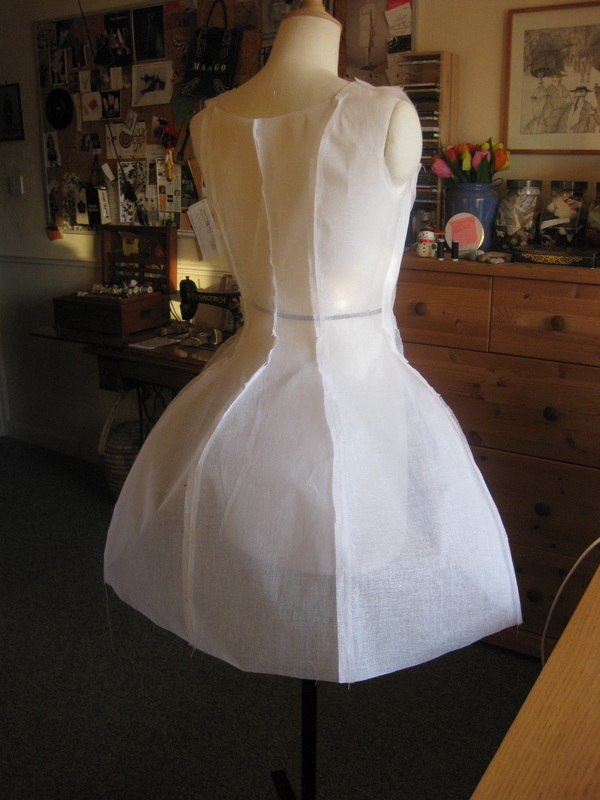 Mull interlining shell for black bell wedding dress. 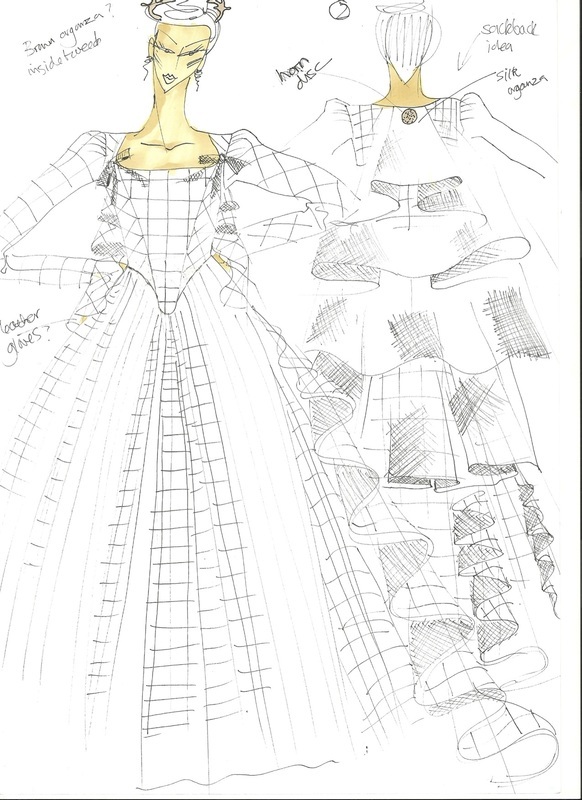 Dress and capelet toile for Redolent 1 outfit. The capelet is a large oval shape, folded and draped. 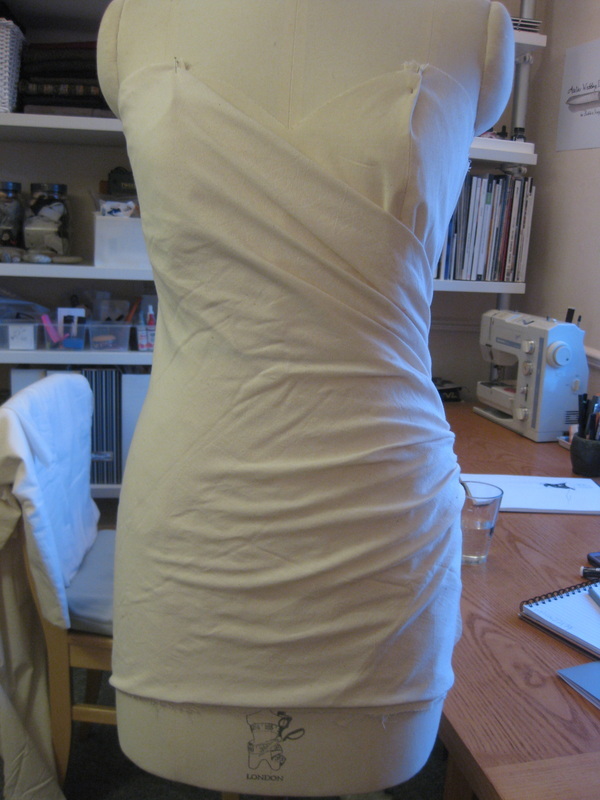 Toile (test garment) made in calico or muslin.